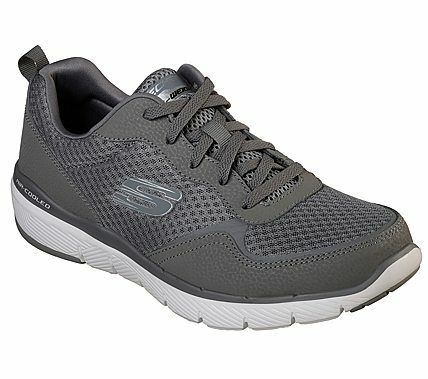 Ready flexibility and comfort give you the workout advantage in athletic style with the SKECHERS Flex Advantage 3.0 shoe. Smooth action leather and textured mesh fabric upper in a lace up athletic training sneaker with stitching accents. Air Cooled Memory Foam insole.